The Kenuco Open Frame Wall Mount Equipment Rack is easy to assemble and install into any environment. 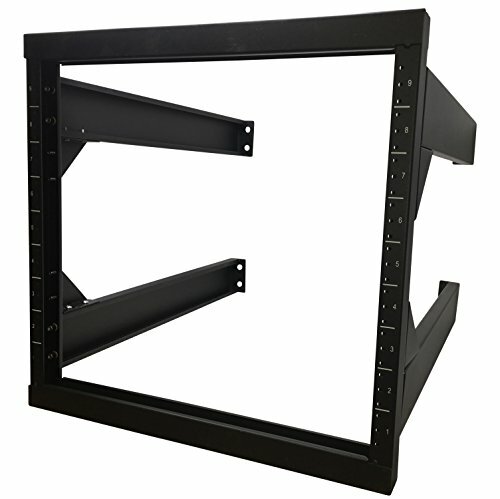 The rack can be wall mounted or installed as a free standing storage solution. It is able to accommodate common networking, audio-video, and telecom equipment. The open rack is suitable for mounting on virtually any wall surface, based on North American wall frame stud spacing standards. Perfect for installing network switches out of the way and high up on a wall in a branch office, warehouse, superstore, or any location you may wish to use. Ideal for small and medium businesses requiring small rack solutions dispersed throughout the organization.